In the hustle and bustle of daily life it is all too easy to become distracted, overwhelmed and in the ceaseless noise which perpetually surrounds us, to lose our way. The continual clamour of social media, the relentless bewitchment of consumer advertising, the unyielding presence of politics, comment, opinion and ‘fake’ news captivates and beguiles us. We lose all sense of who we are, of what really matters and of the things we value most. The illusory replaces the real. Invisible Light is a sharp, challenging, focused exploration of the borderlines and boundaries in our struggles with the murky worlds of fact and fiction, fantasy and reality and the quest to uncover who we want to be and how we want to live. It’s a deeply passionate, enthralling album which swirls and flows on an evocative sea of melodic textures, moods and contrasts. When combined with an unblinking steely, progressive metal-based foundation and a driving, substantive, hard rock spirit, we are presented with music with a wealth of substance, resolve and character. A continual willingness to experiment with contrasts, play with changing time signatures and push rhythmic transitions creates songs which are deftly organic and intricately structured. It is precisely the inventive interplays of light and dark, discordant heaviness and melodic tranquillity which creates such a poignant and forceful atmosphere of charged emotions that grabs the attention and makes you sit up and take notice. Peter Hamer’s guitar playing is magnificent in the sheer range of expression he brings to each song. Luca Imerito’s bass lines weave and tease in direct response, sometimes commanding and imperious, at others complimentary and dynamic. The drumming of Michele Santoleri, joining the band for the first time on this album, brings a dazzling, nimble and decisive presence which colours and influences the shape and energy of each song. Above it all, Paolo Gurlino’s vocals bring an incisive edge and compelling allure which soothes, encourages and beckons you on. The effect is refreshing in allowing a natural merging of differing styles and rhythms within a single song; the complex structure of each story is allowed to develop, evolve and go where it pleases. Opener A New Beginning is a brilliantly intricate series of musical passages which seamlessly blend into each other, dancing and darting from acoustic serenity to amplified outbursts of crunching power refrains and then to elegant, ambient melodic harmonies before toying again with a gentle acoustic. The immediate contrast comes in the shape of Dewdrop, the second track, slower, darker, menacing, foreboding before yielding to a hypnotically soothing and melodic vocal, wandering off in turn to a rambling instrumental which inescapably leads to a triumphant chorus and mesmerising guitar solo. The fluidity and finesse of the movement from segment to segment is transfixing in the way it embraces and enfolds you in its absorbing soundscapes. Hollow Man returns the spotlight once more to the main theme of the album. The bass work here is supreme, capturing echoes of Riverside and Black Sabbath in a repeating, anthemic, heavy set of undulating lines which are filled with a cold darkness. Our lives are empty, lived on the surface of a shallow culture which cares nothing for meaning. The soulful and impassioned Lead Me in the Dark attempts to steer us away from the muddy depths and, along with The Wayfarer, tries to lift our eyes above the routine, the mundane and point us in more hopeful directions. Although more conventional tracks in terms of structure and composition, they do seem to lack something of the bite and the grittiness of what has come before. 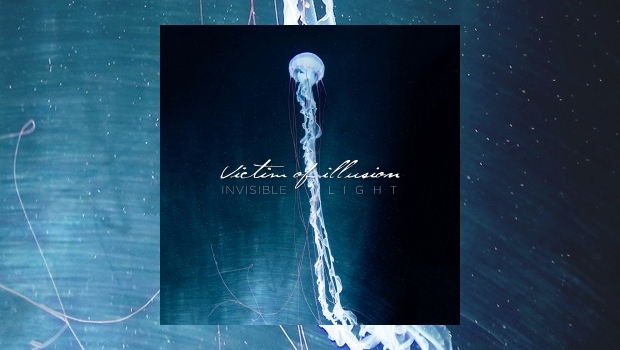 Invisible Light is an unexpectedly persuasive and effective release which shines with purpose, enthusiasm and a well defined sense of musical vision. The construction of the songs displays a skilful agility and careful insight in shaping soundscapes which convey a powerful set of imaginative reflections on the struggles we face in being human amidst the clamour and the noise of modern life. It takes a few listens to begin to appreciate what the contrasts are trying to achieve and how they push the momentum of the music in certain directions, but it is certainly time well spent.